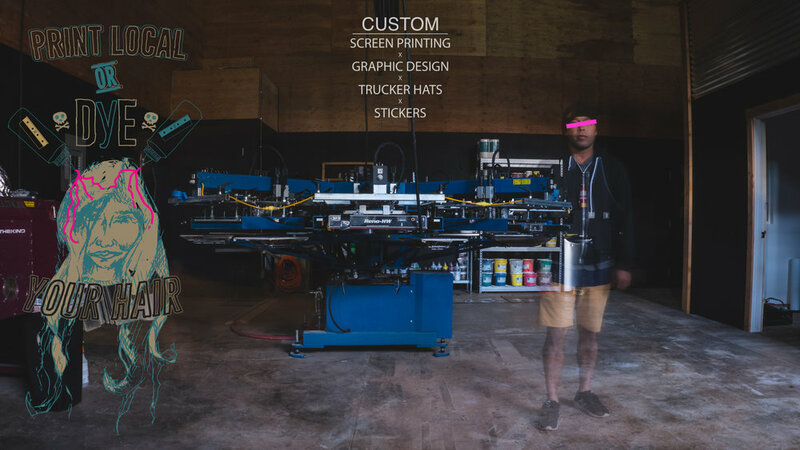 We offer Custom Screen Printed Apparel and Trucker Hats. Custom 1-Color Die Cut Vinyl Stickers & Graphic Design. Check out our Instagram pics/vids below for some actual work we've done. Got a question about ordering? Give us a ring or click here.